Android App Bundle or disable armeabi-v7a?? how to export gideros to the "App Bundle" format?? or disable armeabi-v7a?? @hgy29 can you make it possible to exclude armeabi-v7a ?? I can do that for sure, but most of devices are armeabi-v7a, so what would be the point of generating x86 only apk ? EDIT: Ok, you want to split your APK into an x86 version and an arm version probably, and provide separate APK for each platform. I'll add the option then, since App Bundle format seems to require a not yet finalized android studio version. I thought there was an option for you to send them a bundle and they split it at their end? You basically give them your signing key and they do the work from there. Does that not work? she was surprised by me.. This is really interesting, and great that the option can be added. How much space can be saved when exported without v7a? @totebo You want arm-7va, that is the most popular. 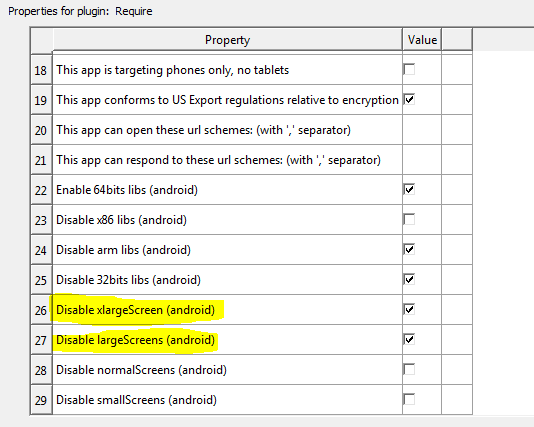 @oleg Can you pls write a step-by-step instruction how to decrease apk size to the minimum? I think we should post it to blog or wiki. (я не нумерував з кроком 1000, я просто пронумерував з кроком 1.
потім просто додаєш всі 4 файла в магазині в 1 випуск..
сенс в тому що гугл спочатку перевіря більшу версію Vc -"Version Codes"
Vc=2101 - ця версія для великих ширина дисп 640 пікс і менше і т.д. I think what would be best is compatiblity with the Google 'bundle' format - if possible? It may already be compatible - I don't know. since App Bundle format seems to require a not yet finalized android studio version. in any case it would be great if we could export to android bundle format whenever possible.